We have a book coming out! 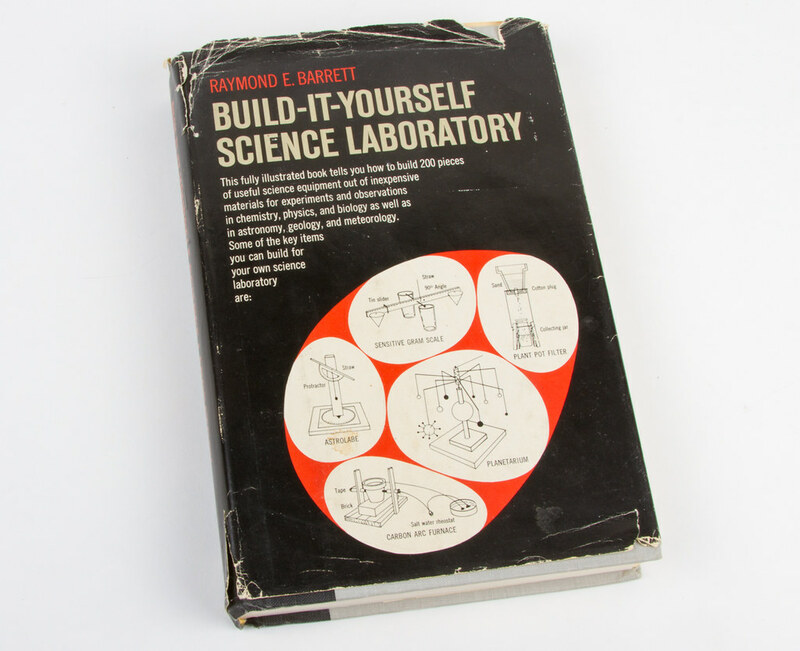 Coming soon: The Annotated Build-It-Yourself Science Laboratory is a new, updated version of Build-It-Yourself Science Laboratory, the classic 1960’s hands-on science book by Raymond E. Barrett. 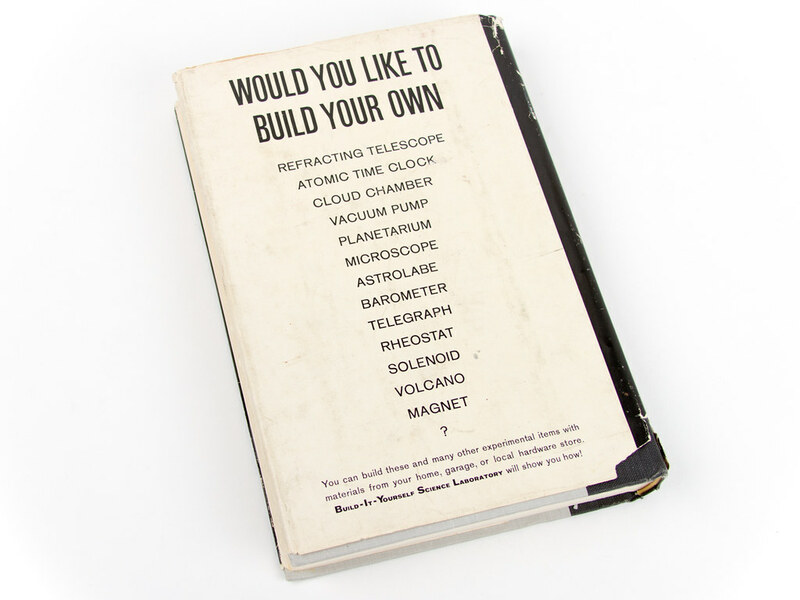 The book is scheduled to make its debut at Maker Faire next week, where I’ll be speaking about it. It’s also available for pre-order now from Amazon.com and other sellers of books, as well as from our store. 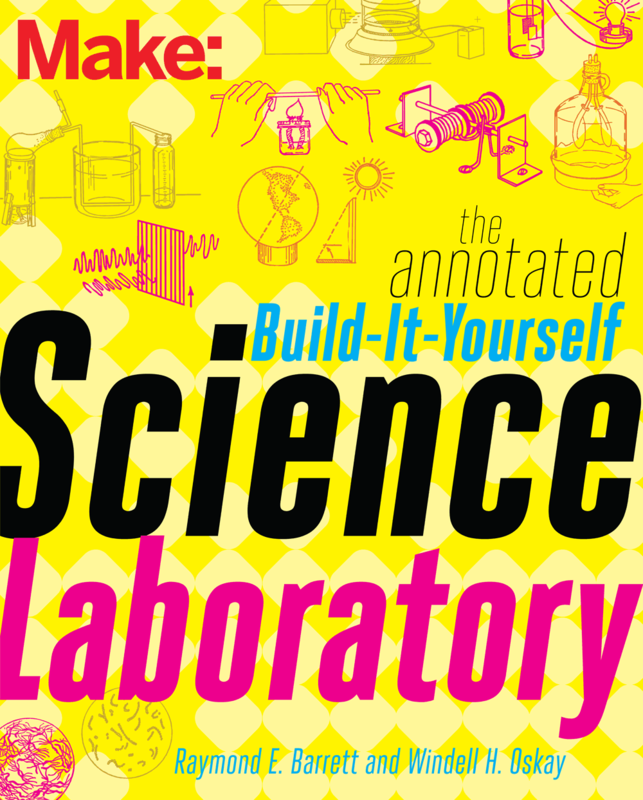 We’ll be writing much more about the book once it’s out— about what’s in the book, the process of updating and annotating it, and about the hundreds of project ideas spanning biology, geology, chemistry, physics and more. 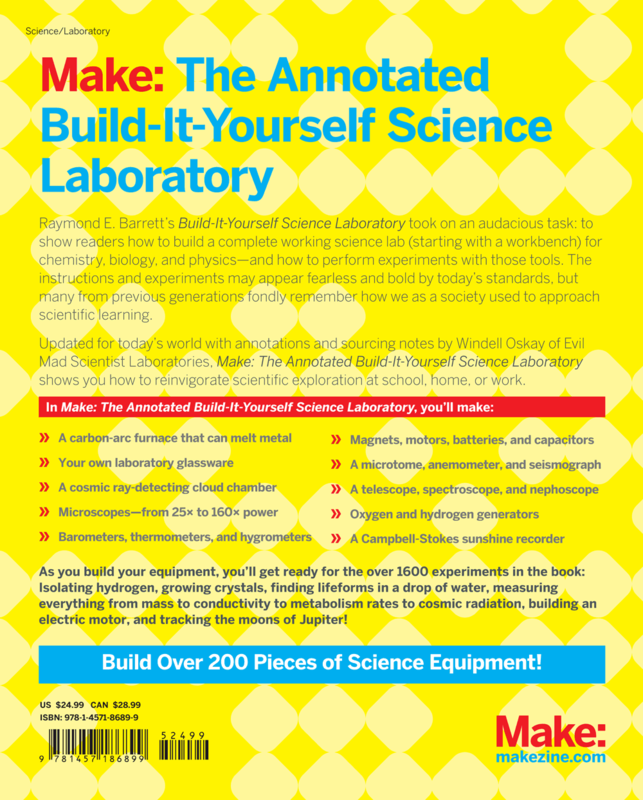 This entry was posted in Citizen Science, EMSL Projects, Science and tagged BIYScience, book, makerfaire. Bookmark the Permalink. The Open Source Beehives project is currently running a crowdfunding campaign with the goal of gathering information from sensor equipped hives throughout the world to help solve bee population problems like colony collapse syndrome. The sensors can also be used by individual beekeepers to monitor the health of their hive. 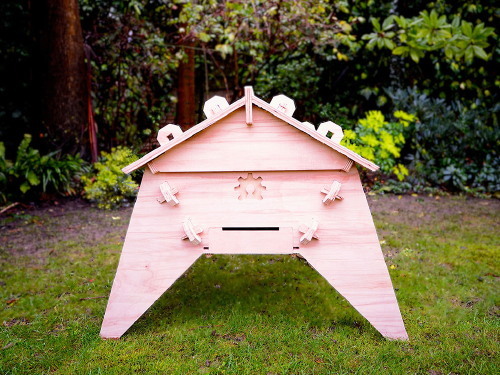 Even without the sensors and the citizen science, their hive designs are beautiful. This entry was posted in Citizen Science, CNC, Engineering, Nature, Open Hardware, Science and tagged nature, open source. Bookmark the Permalink. Citizen Science: How Big is a Bird Egg? 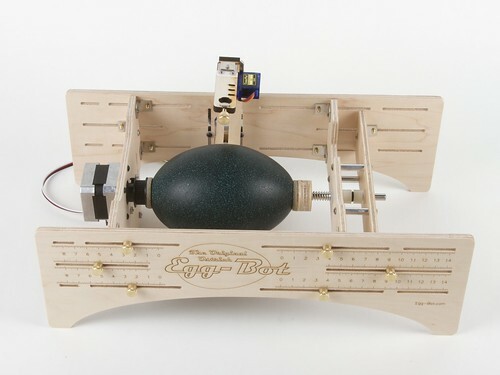 While talking about egg sizes in the context of the Eggbot project, we realized that while we have access to a few samples, we do not have a good understanding of the normal variation in the sizes of various bird eggs. The sizes of chicken eggs are well understood and well regulated, but for other types of bird eggs (like the emu egg above) the sizes are not necessarily so standard. If you have access to other types of eggs or eggshells, we’d like your help in gathering data about the size and variation in these other types of eggs. We’ve set up a survey form to collect egg size data and we plan to post about our results once we have collected enough data. This entry was posted in Citizen Science, Eggbot, EMSL Projects, Engineering, Nature, Science and tagged eggbot, eggs. Bookmark the Permalink. For a higher-quality image– without the display case– take a look here. 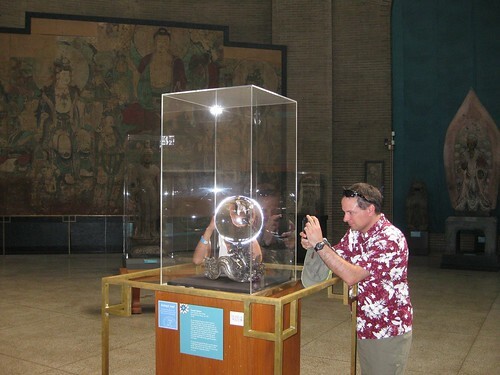 So, not only is it a giant crystal ball, but it’s a historically interesting giant crystal ball. But besides that– and its brief modern stint as a hat rack –what’s genuinely remarkable about this particular artifact is that it’s made from a chunk of rock crystal, better known as quartz crystal. Now, those “crystal balls” that run-of-the-mill fortune tellers use are often just glass— glorified playground marbles or perhaps so-called lead crystal, which is actually just another type of glass. Quartz crystal, on the other hand, has a structured atomic lattice that leads to some very interesting physical properties including piezoelectricity, triboluminescence, and birefringence. These properties arise from the crystal structure itself; they are typically minimal or absent in glasses such as fused silica (glass made by melting quartz crystal). While the museum probably wouldn’t want you compressing or grinding their crystal ball for piezoelectricity or triboluminescence experiments, the birefringence is boldly sitting out on display. The sign, across the room reading “TEXTILES” is not just inverted like it would be with a spherical lens, but also– plain as day –appears as double image, even through our single camera lens. Why? Quartz crystal is a birefringent material, which means that light rays entering the material experience two different indices of refraction, depending on their polarization and orientation with respect to the crystal lattice. 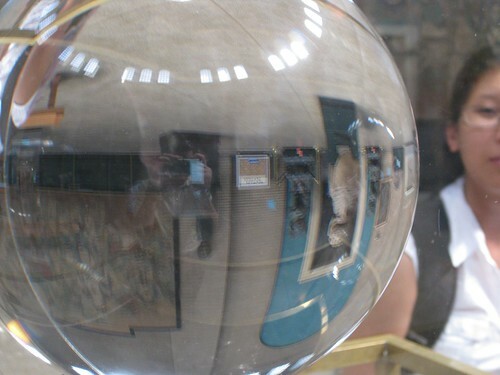 In practice, our eyes see all polarizations, so this means that the crystal ball acts like a superposition of two glass balls with different indices of refraction– and light rays entering the sphere at any given point can follow two different paths to reach your eyes. Hence the double image. It’s also worth noting that the two separate images are composed of photons with perpendicular polarization. 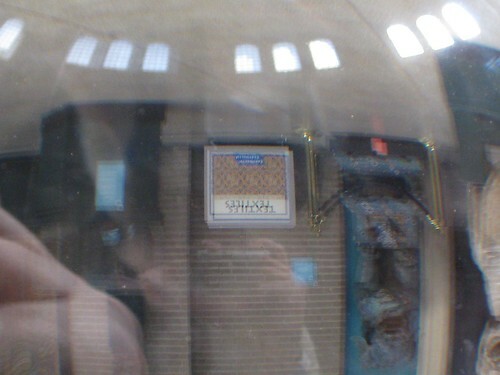 If you were to look at this sphere through a linear polarizer (e.g., one lens of the 3D glasses that they use in modern movie theaters), you could turn it such that only one of the two images was visible at a time. Birefringence is not particularly rare, and there are materials (like certain forms of calcite) that have huge, easily visible birefringence. Optical devices made from flawless natural calcite, exploiting this property, are tremendously important to scientific research and industry. We tend to think of a quartz crystal as being perfectly clear– not something that gives you a double image when you look through it. That’s because quartz is only very weakly birefringent, especially when compared to calcite. Quartz is, however, still extensively used in industry in applications for which high transparency and very slight birefringence are key, such as optical wave plates. 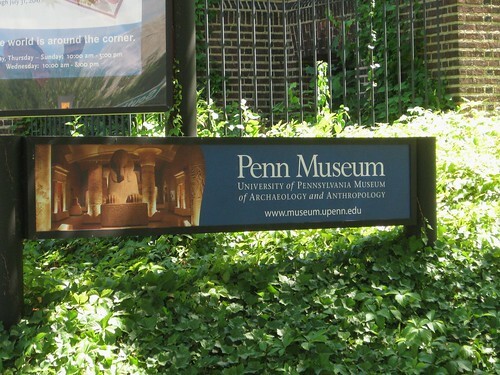 And, what’s truly remarkable about the Penn Museum sphere is that this tiny property– usually so hard to see –is so plainly visible to the human eye. Finally, as we mentioned, the amount of birefringence depends on the orientation of light rays with respect to the crystal itself. This means that if we walk one quarter circle around the sphere to a point where we’re closer to looking directly along (or perhaps, perpendicular to) the optical axis of the quartz sphere, the image suddenly becomes (if you’ll pardon the pun) crystal clear. 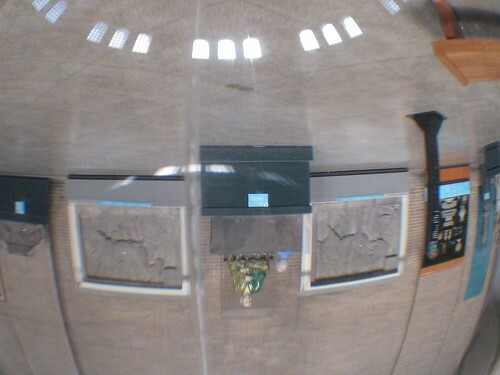 This entry was posted in Citizen Science, EMSL Projects, Science and tagged museum. Bookmark the Permalink. After the house stopped shaking, and then swaying, the first thing we did was to get on the USGS web site and try and find out what we could about the quake. From the main information page, we quickly found the “Did you feel it?” questionnaire for the event, which we filled out. The DYFI program collates the data from responses like ours and uses them to create a map of the earthquake intensity by geographic region, as well as some additional data. The map shown above represents the intensity felt by 60,000 respondents in the first few hours after the quake. It is by far the finest example that I have ever seen of “citizen science” in action– apparently objective data collected over a wide area in a short period of time with (in many cases) good statistics. 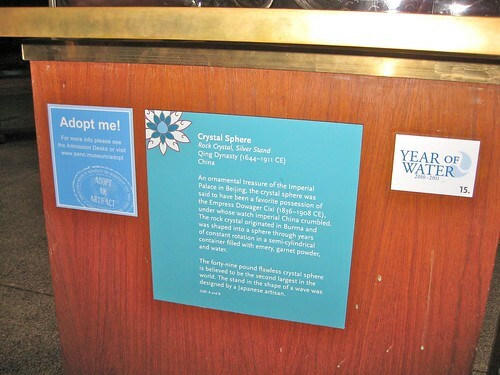 This entry was posted in Citizen Science, EMSL Projects. Bookmark the Permalink.